Join us for the third and final instalment this MPavilion season of Open Journal‘s popular and thought-provoking series High Density Happiness. 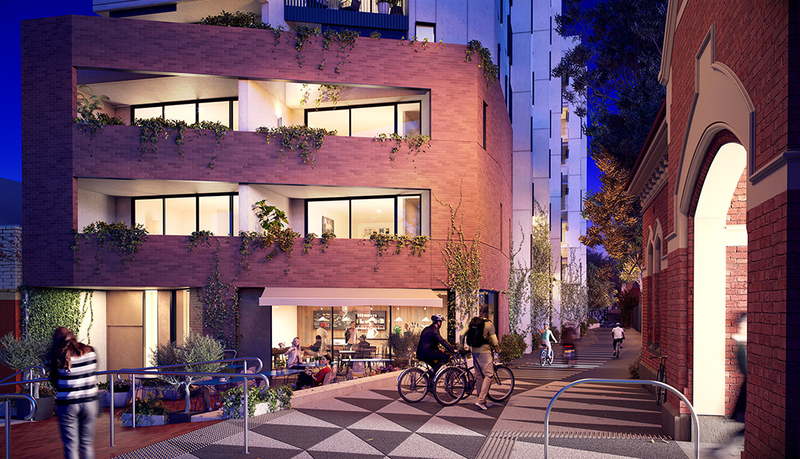 This panel discussion will discuss property ownership alternatives, from enforced re-sale restrictions in Brunswick’s Nightingale development, to more complex shared ownership structures and co-housing. The panel will explore whether a new ownership framework could be the answer to affordable housing, and considers whether we might see a split market soon emerge. Underpinning these discussions is the idea that we truly do live in a time where generation-long housing stability has long given way, and these ownership alternatives could soon become the new normal. Speakers: Katherine Sundermann (MGS Architects); Tim Riley (Property Collectives); Tom Alves (University of Melbourne); Nicola Foxworthy (Common Equity Housing Limited); and moderator Laura Phillips (Open Journal).